Product prices and availability are accurate as of 2019-04-14 10:50:15 EDT and are subject to change. Any price and availability information displayed on http://www.amazon.com/ at the time of purchase will apply to the purchase of this product. 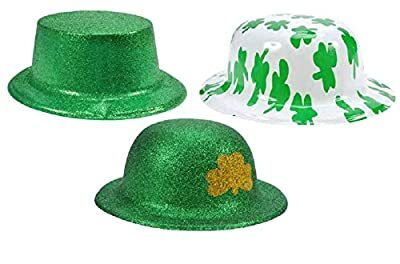 St Patrick's Day Shamrock Hat, Pack of 6 3 different style. 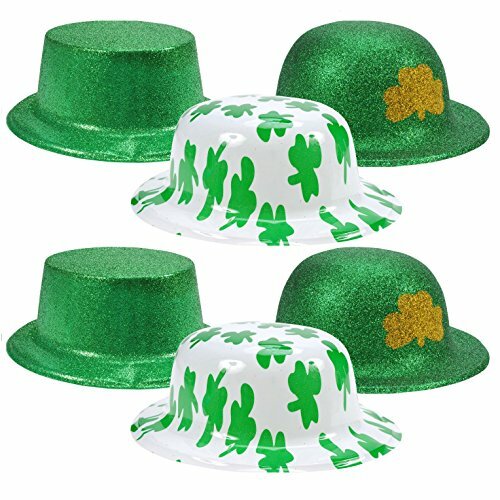 Wear one of these plastic derby hats on St. Patrick's Day to top off your costume! Turn them upside down and fill them with party favors such as small toys and candy. Hand these Leprechaun hats out to all your partygoers! The shamrocks may bring them a wee bit o' Irish luck! Measures: 10.25"x 9.25"x 4"inside: 7.5" x6.5"
St Patrick's Day Shamrock Hat, Pack of 6 3 different styles Wear one of these plastic derby hats on St. Patrick's Day to top off your costume! Turn them upside down and fill them with party favors such as small toys and candy. 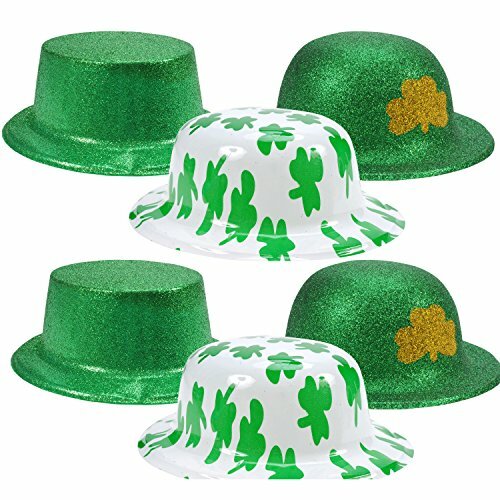 Hand these Leprechaun hats out to all your partygoers! The shamrocks may bring them a wee bit o' Irish luck! Measures: 10.25"x 9.25"x 4"inside: 7.5" x6.5"